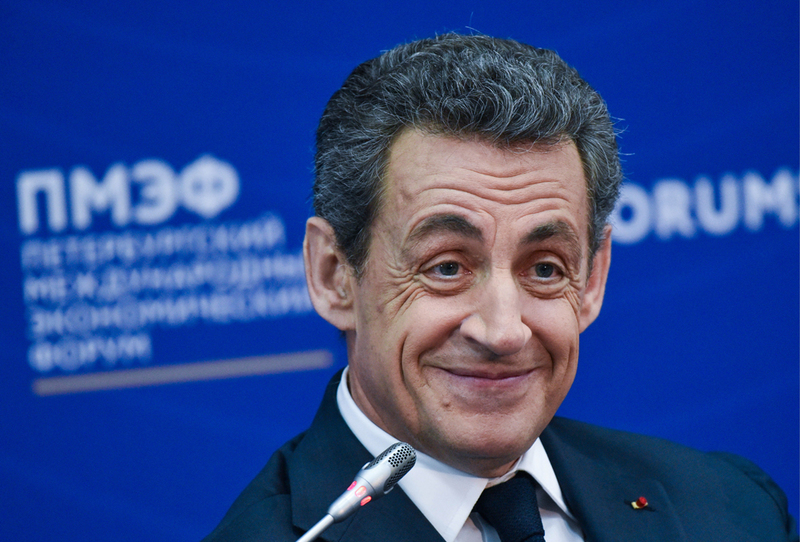 Nicolas Sarkozy, President of France (2007–2012), smiles during a discussion titled "Europe: Quo Vadis?" as part of the 20th St. Petersburg International Economic Forum at the ExpoForum Convention and Exhibition Center in St. Petersburg, Russia, June 16, 2016. French opposition leader Nicolas Sarkozy has proposed that Russia remove sanctions on European Union food imports as a “goodwill” gesture. While he probably means well, the former French president’s suggestion betrays EU elites’ often superficial understanding of Russian affairs. The pundits and pontificators on the sidelines really stirred up this year’s St. Petersburg International Economic Forum (SPIEF) when they suggested high-profile westerners should show the event the red card. Dialogue is vital, especially in these jittery days. Particularly as NATO conducts huge exercises in the Baltic Sea not far from Russia’s borders and rhetoric from Moscow is increasingly bellicose at times. The absence of bilateral discussion, favored by a number of EU members and many opinion-shapers, particularly in the U.S., would only serve to create a bigger void. And a greater vacuum would be a disaster. For that reason, EU Commission President Jean-Claude Juncker’s choice to travel to St.Petersburg was the correct one. “There are those who like the idea [for me] to be here and those who don’t like the idea. I like the idea,” he said to applause, speaking at the SPIEF on June 16. However, when getting down to business, Juncker was in no mood to massage Kremlin egos. Instead, he talked tough and made the position of Eurocrats clear, while also offering to “build a bridge.” Russia’s actions in Crimea and Ukraine had put the “very principles of European security through a severe test,” said Juncker. He also insisted that the only way to end Western sanctions on Russia was to fully implement the Minsk agreements, the series of accords aimed at resolving the conflict in eastern Ukraine. Of course, it takes two to tango in that regard and Kiev’s lack of movement is equally, if not more of, an obstruction than any Russian hesitancy. Asked later if he believed sanctions had changed Russia’s behavior, Juncker gruffly replied that he would discuss the issue with Russian President Vladimir Putin personally during their private meeting later. Juncker’s visit to Russia is the first by a Brussels bigwig since sanctions were prompted by Moscow’s takeover of Crimea in 2014. He wasn’t alone either. Italy’s Prime Minister, Matteo Renzi, also attended and so too former French President Nicolas Sarkozy, who may well return to the Élysée Palace once again next year. However, in the spirit of the Maltese inventor of the concept of “lateral thinking,” Edward de Bono, Sarkozy seems to believe that “if you never change your mind, why have one.” In recent years, he has been practicing his own version of ostpolitik and embracing warmer relations with Russia. There’s no doubt that the Frenchman’s heart is in the right place, and he genuinely wants to help ease frictions between Moscow and the rest of Europe, but his comments in St. Petersburg on June 16 showed a lack of genuine appreciation for Russia’s position. In theory, extending an olive branch might sound attractive, but in reality it’s far more complicated. As the economy struggles, owing to a mix of low oil prices, failure to reform sufficiently and sanctions too, agriculture has been one of Russia’s few bright spots in recent times. For instance, grain exports alone have risen by 13 percent over the past year. Meanwhile, as Bloomberg reported on June 7, domestic food production is booming, from meat to fruit to vegetables. This is important for Russia, since for far too long its economy was run on the crazy idea that it could simply export its resources and buy everything else in. Thus, we had the world’s largest country importing basic foodstuffs like milk and cheese, while leaving vast tracts of some of the world’s most fertile land completely empty. Never mind the security implications, it was also dim-witted economic strategy. The Kremlin’s counter-sanctions on Western produce have opened a window for Russia to correct this misguided policy. They’ve been so successful that Putin himself admitted that a farmer from Voronezh asked him not to remove them. Sarkozy is trying to help Russia, but as is frequently the case here, things are not as simple as they seem.